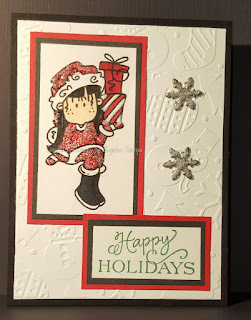 It's a Scrappy World: 12-3 It's time for CHRISTMAS CHAOS at Bugaboo Stamps! 12-3 It's time for CHRISTMAS CHAOS at Bugaboo Stamps! It's that time again - time for the chaotic holidays for all of us...including the design team of Bugaboo Stamps! We have an awesome new week of challenges for all of you play along with us at Catch the Bug with us at Bugaboo Stamps! Today's challenge? Make it sparkle! very nice! Thanks for joining us at Craft Rocket Challenges. Good luck. 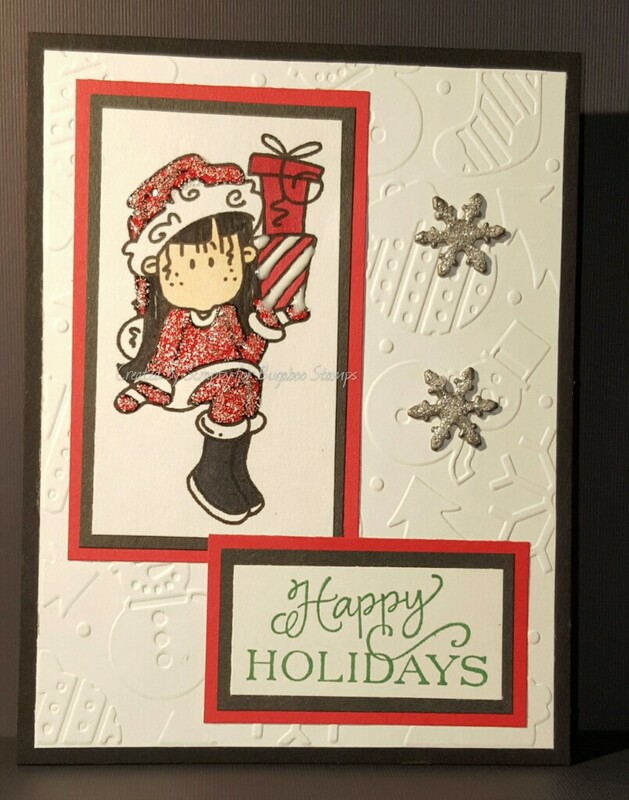 Cute card, I love the double frames and the embossing folder you used! Thanks for taking TIME OUT and joining our challenge! Super cute card! Love that image and the embossed background is a great addition as well. Thank you for joining us for Christmas Anything Goes at Perfectly Created Chaos, I hope to see you again soon! Hey, Scrappy! Cute card. Thanks for linking up at Craftaholics R Us. 12-4 Christmas Chaos in a VERY Stella World!